On Saturday, August 25, 2001, Rob Jebb and his girlfriend Sharon Taylor, both members of Bingley Harriers, moved house from Airedale in West Yorkshire to Burneside, near Kendal. The following day they achieved a unique “double” by winning the male and female guides races at Grasmere Sports. Rob, who was then 26, had also triumphed there the previous year, when Sharon was placed 3rd on her guides race debut at the age of 21. Not long afterwards, they moved house again to the neighbouring village of Staveley, where they still live. Rob, who works as a BT engineer at Windermere, was influenced in his choice of sport by his father, Pete, a rock climber and fell runner. Rob failed to achieve any success as a junior, however, but persevered to eventually gain his first victories in 1995, aged 20, in two Yorkshire events. One was a Keighley Hill Runners’ Winter League race at Goose Eye, the other at Halton Gill Sports, where he set a new course record after cycling 40 miles to the event, and then cycling 40 miles back home afterwards. His third victory came in the Loughrigg fell race at Ambleside in 1996, during which season he also gained a splendid 3rd place in both the Ben Nevis and Burnsall races, and an equally praiseworthy 5th position in both the long, rough Wasdale and Langdale events. All these results proved that Rob was becoming a skilled performer over all types of terrain and distance. And while he had initially excelled as a climber, he was now continually honing his descending skills. During the Foot and Mouth outbreak of 2001, Rob’s racing season was severely curtailed, though he and Sharon did manage to achieve double victories in the Glen Rosa Horseshoe (Isle of Arran), Up and Down the Old Man (Coniston) and, previously noted, the Grasmere Guides Race. The following year, Rob tied with his clubmate Ian Holmes for 2nd place in the British Championship and yet again was placed 3rd in the English. In 2003, he at last fulfilled his potential by winning the British title outright and coming a very close 2nd to Ian Holmes in the English. His chances for a championship “double” had hinged on the final race of the English competition, the Langdale Horseshoe. He either had to win the event outright or else finish three places ahead of Ian. Though holding a narrow lead at the last summit, Pike O’Blisco, he lost out to the superior descending skills of Holmes and the Thirlmere shepherd, Gavin Bland – both former champions themselves, incidentally. 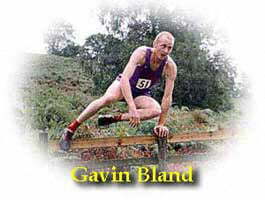 Another ambition was realised that season, when he achieved the first of his three wins in the Ben Nevis Race, also triumphing in the Lakeland Classics championship which covers the Wasdale, Ennerdale, Duddon, Borrowdale, Langdale and Three Shires races. In 2004, he was placed 3rd in the British and 4th in the English championships, but then dropped back to 5th in the 2005 English, while not contesting the British. He did, however, win that year’s World Sky Running Championship, and last season scored a terrific double victory in the British and English championships – a true champion indeed. Rob’s early idols at Bingley Harriers were Ian Ferguson, Bob Whitfield and Andy Peace, while in more recent years he has developed great respect and admiration for Ian Holmes, holder of four British and five English championship titles, as well as being last year’s Over 40’s veteran champion in both competitions. Ian has occasionally advised Rob on racing and training. As a racing cyclist, Rob has enjoyed considerable success in both road and cyclo-cross events, perhaps his greatest achievement in this discipline being his six consecutive victories in Yorkshire’s Three Peaks Cyclo-Cross, 2001- 06, while in April this year he completed a hat-trick of wins in the Three Peaks Fell Race. He cycles to and from work in Windermere, and in the evening would then run 8/10 miles, usually on Potter Fell or the higher Kentmere tops. Since his second Guides Race victory at Grasmere in 2001, Rob has triumphed there on five more occasions, 2004, 2005, 2006, 2007 and 2008, and he and Sharon use the event as preparation for the following Saturday's Ben Nevis Race. Sharon Taylor is a medical rep who sells drugs to doctors. She achieved a fair amount of success as a schoolgirl playing hockey and netball, and as a track and cross-country runner. She joined Bingley Harriers at the age of 12 and ran her first fell race on Hebden Moor, Wharfedale, when she was 16. Her first outright victory in a fell race (as distinct from age-group wins) came in August, 1998, at Langdale Country Fair. “I turned in 5th position at the top (among the ladies), on Harrison Stickle, and came down well to cross the line first.” This was a classic steep up-and-down course and her performance showcased her outstanding talent as a fell runner, for she truly excels on steep descents. The following year, she came 5th in the Langdale Horseshoe, another steep, rough course, but this time calling for both endurance and navigational skills. For a 19-year-old novice, this was another brilliant performance, and she did in fact enjoy several other good runs that year, both in Lakeland and the Yorkshire Dales. Sharon ’s second victory came early in the Millenium Year at Ovenden Moors on the South Pennines and another good season saw her attaining runner-up placings in both the Buckden Pike and Skiddaw races, with 3 rd places at Black Combe, Ben Nevis and the Tour of Pendle. Her penchant for long-distance racing paid off early in 2001 when she was first lady back in another South Pennines event, the Wadsworth Trog, but then the Foot and Mouth outbreak disrupted the fell racing season, although she and Rob later notched up three double victories, as previously mentioned. 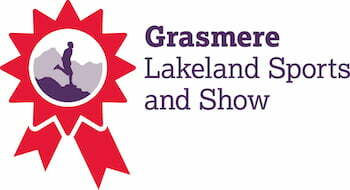 With their move to Burneside, and later Staveley, completed that year, the partners were now able to concentrate on a wide range of Lakeland events to compete in, while also having the ideal training terrain right on their doorstep. This played no small part in helping Sharon to triumph the following year in such demanding races as Black Combe, Anniversary Waltz (Newlands), Kentmere Horseshoe, Dale Head (Borrowdale Shepherds’ Meet) and Wansfell (Ambleside), while in the FRA championships she finished a highly creditable 4 th in the British and 5th in the English. In 2003, however, she slipped back one position in both Championships, and secured wins in 2 South Pennine races and 1 at Kirkby Moor, among the Furness fells. “The competition was better that year,” she says modestly, low-rating her more successful 2002 season. Like Rob, she is also a cyclist, and in 2003 won the Mountain Bike Dash at Grasmere Sports prior to finishing 4th in the Guides Race. 2004 saw her finishing 5th in both championships after leading the British with only one race to go - the ‘Two Breweries in Scotland’s Southern Uplands’, which she did not contest. Another 5th in the English followed in 2005, with 8th in the British, though she did achieve several outstanding victories in such races as the Wadsworth Trog, Coniston, Burnsall, Ben Nevis, Scafell Pike and Great Whernside. Last year, she completed her hat-trick of wins in the Ben Nevis and attained a highly commendable 3 rd placing in both of the FRA championships. Sharon trains locally on Potter Fell for between 30 and 60 minutes and also does a weekly session of speed work on the track at Kendal. For a long Sunday run she will, like Rob, use the higher Kentmere fells or else recce the course of a forthcoming race. She admires, and is inspired by, champion fell runners like Carol Greenwood, Sarah Rowell, Angela Mudge and Lou Roberts, with whom she sometimes trains.